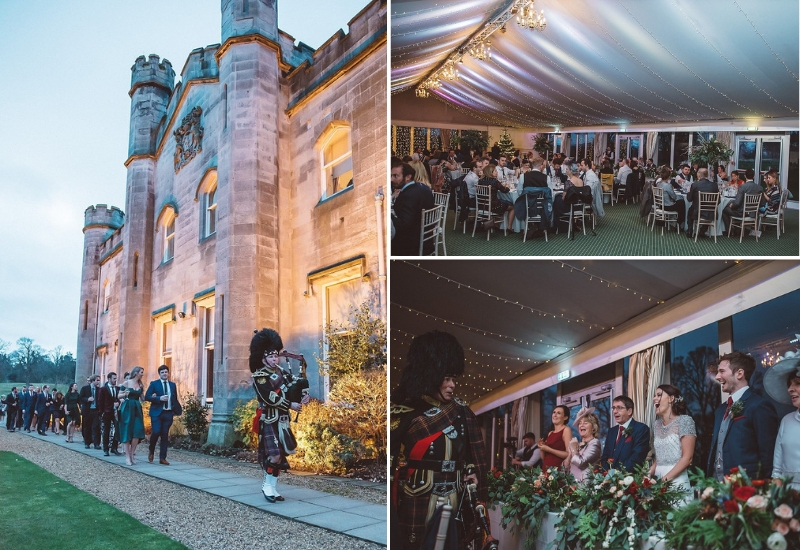 Nat and Phil chose to have their wedding on New Year’s Eve at Dundas Castle to create the ultimate celebration. 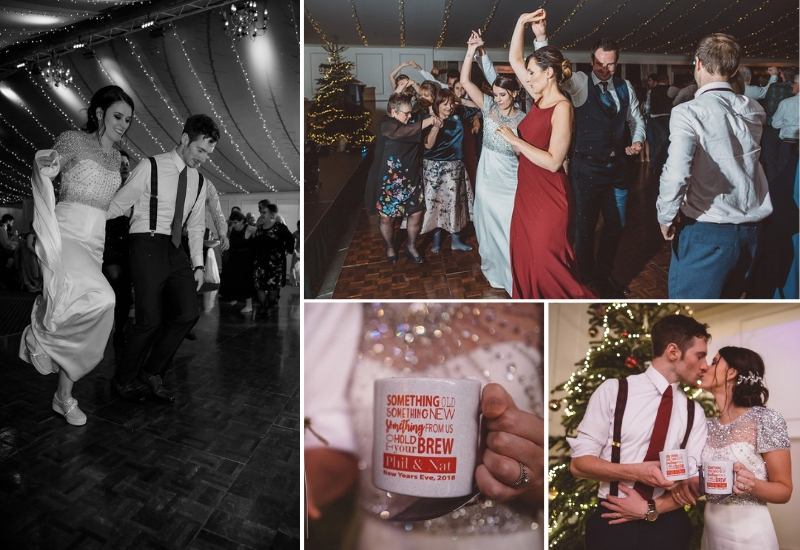 They arrived the day before the wedding and organised a ceilidh masterclass for their guests to get them into the spirit. 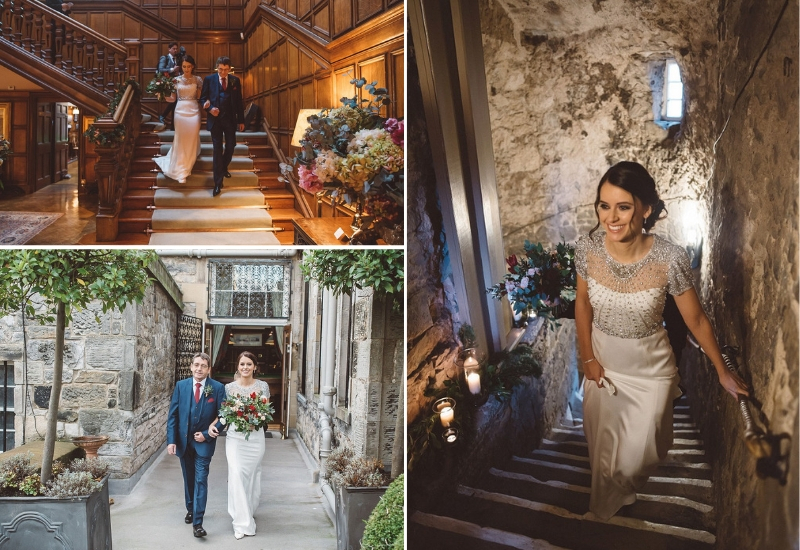 This was followed by a casual dinner throughout the reception rooms of the Castle, where guests could relax in front of the fire and get to know each other before the big day. 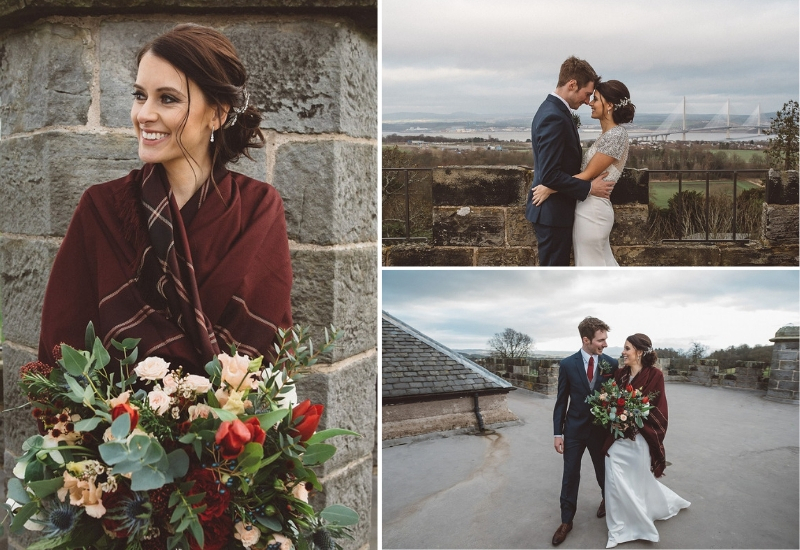 The following morning, the wedding guests enjoyed a full Scottish breakfast before getting ready in the Castle bedrooms. 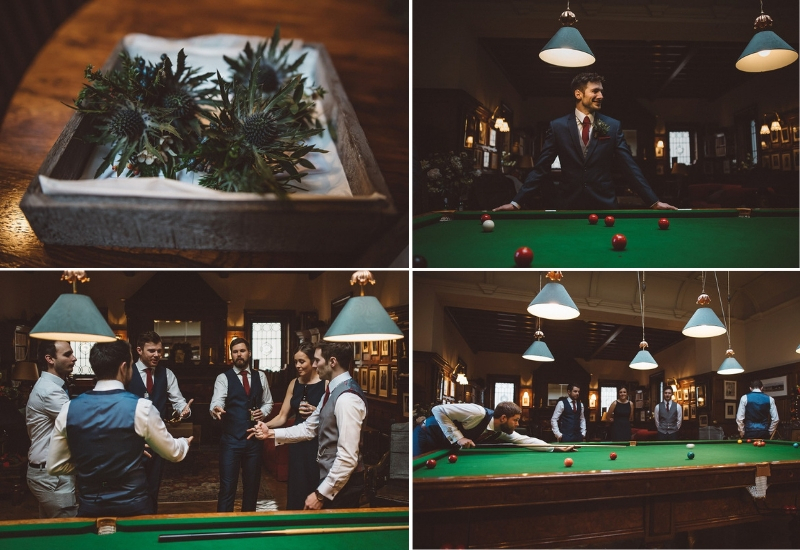 Champagne was served for the bridal party while the groomsmen relaxed in the Billiards Room with a bucket of beers to enjoy. 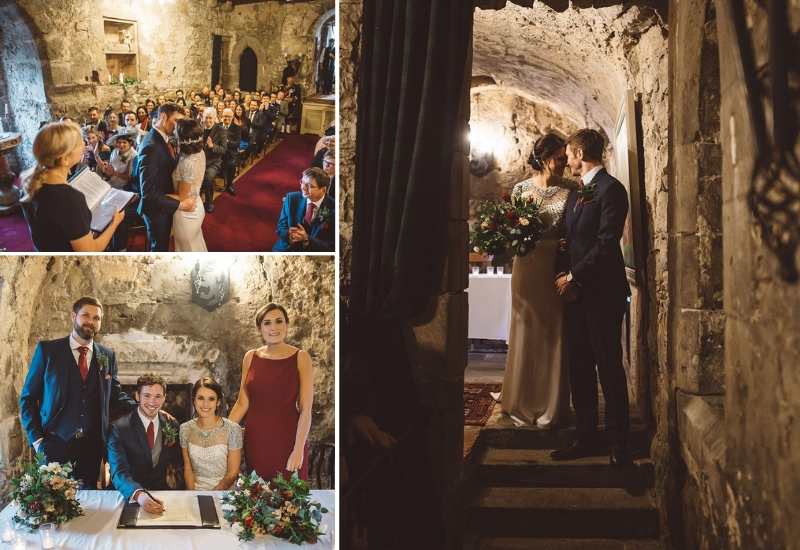 The ceremony took place in our Auld Keep which was filled with candles to enhance the romantic atmosphere. 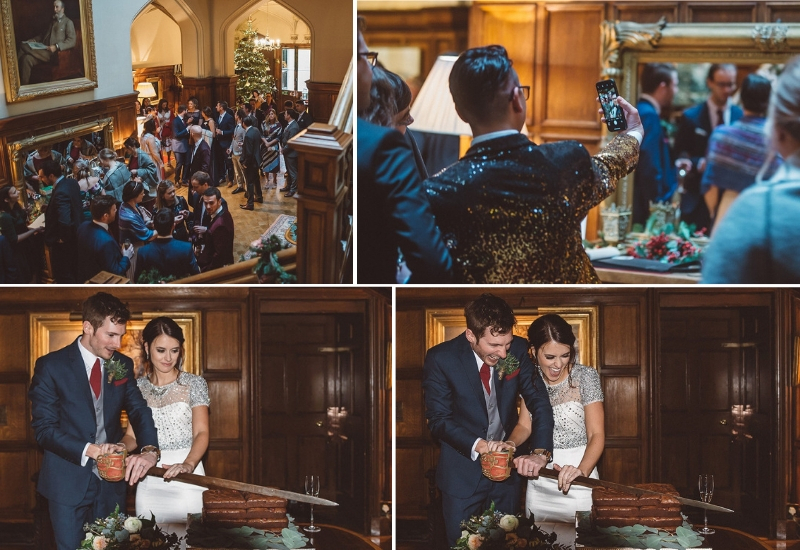 Once Nat and Phil had tied the knot, they enjoyed a few moments having photographs together before re-joining the party for the drinks reception. 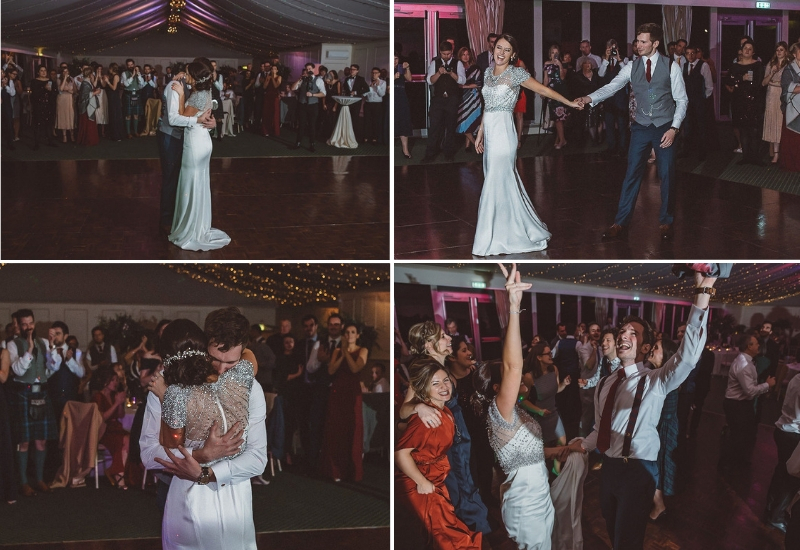 The guests enjoyed a wedding breakfast in the Pavilion and then danced the night away to a Scottish ceilidh band. 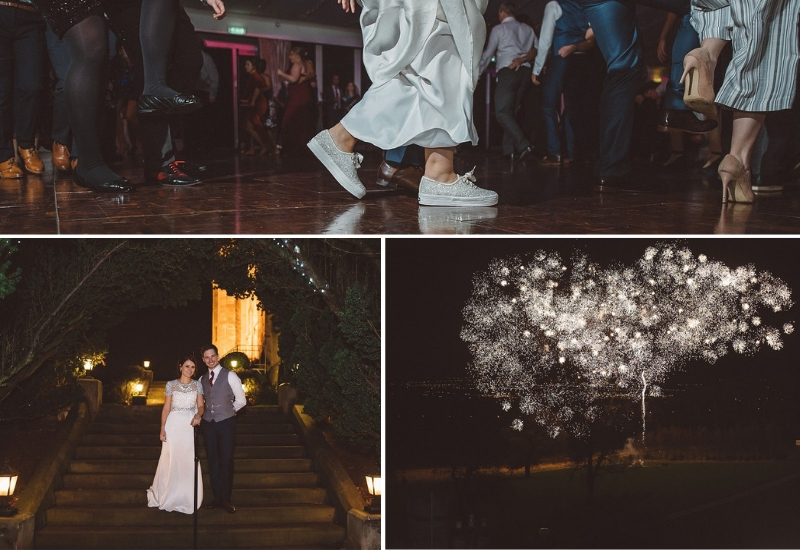 They brought in the New Year and concluded the celebrations with a surprise fireworks display with Dundas as a show-stopping backdrop. “Everything about Dundas is incredible. 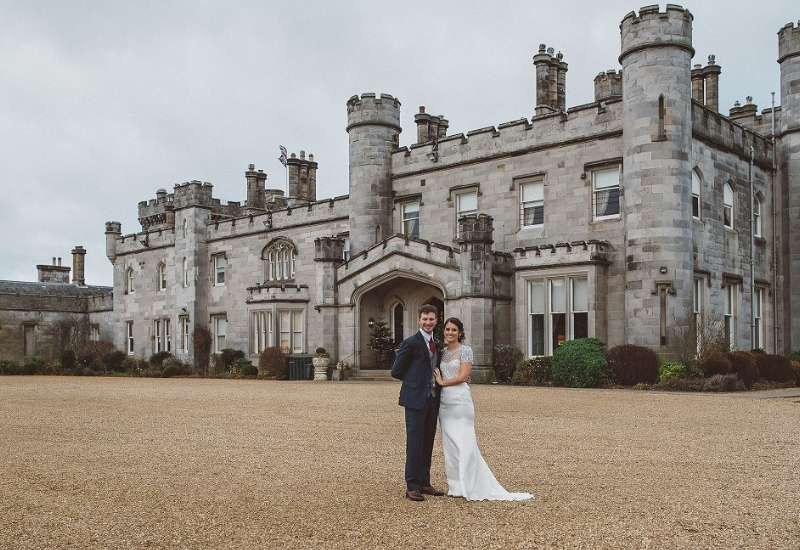 We booked our wedding from abroad, relying on my parents to visit it before paying our deposit and confirming our choice, and their reaction was so overwhelming we couldn’t possibly have chosen anywhere else! It’s difficult to find the words to express our thanks to the staff at Dundas. 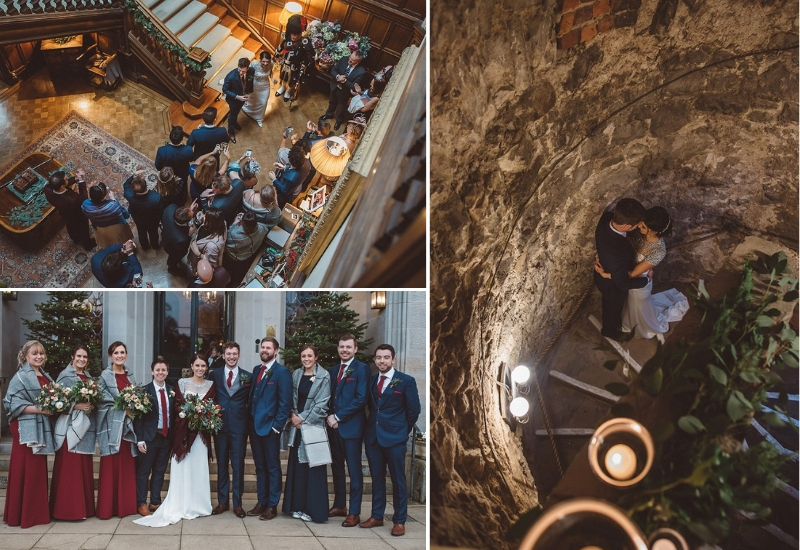 So many of our guests commented on how amazing they were, which is not something people would normally comment on after a wedding but is a testament to the level of service offered to everyone who attended our wedding. 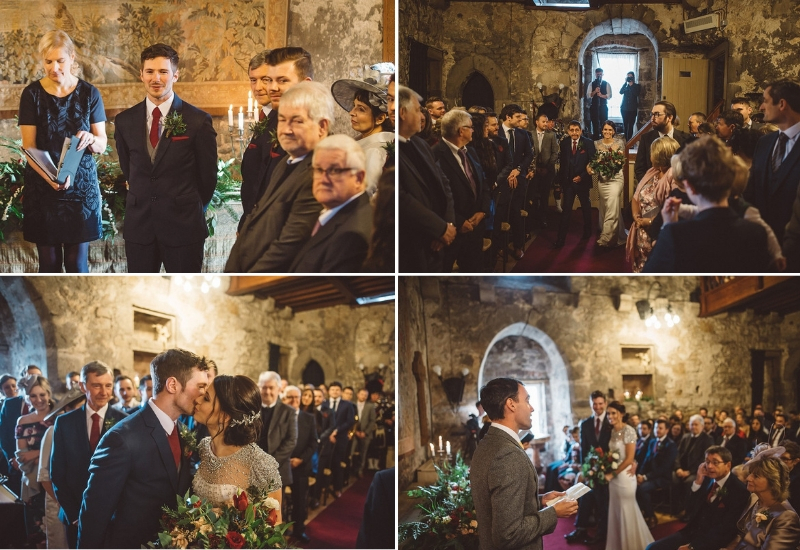 Hollie, who helped us plan the wedding, was so warm and helpful throughout all of our communications and responded to every email and question (even the really stupid questions) with the help and support we needed for every part of the wedding. 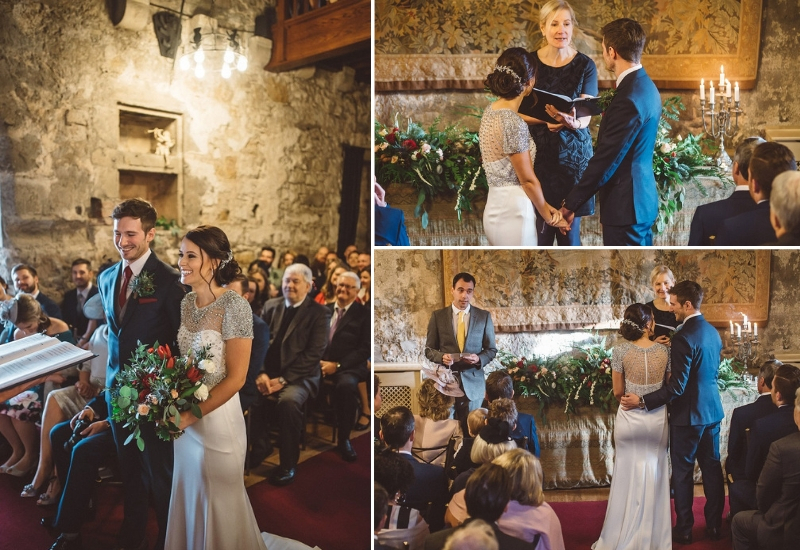 She really made planning a wedding from abroad so easy. 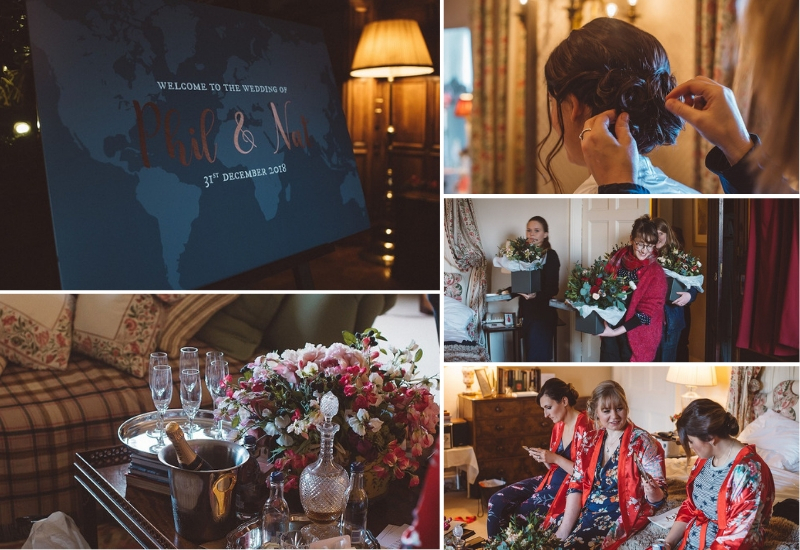 While Rose, who was our operations manager for the day, went above and beyond to make sure everything ran incredibly smoothly and that we had a wedding that exceeded our expectations. We arrived the day before the wedding and were able to host our guests for dinner that evening. As soon as we arrived, Rose and the staff took over and ensured there was nothing we needed to worry about or concern ourselves with at any point. My bridesmaids commented on how chilled I was on the morning of the wedding, but this is largely because of the absolute faith I had in Rose and her team.